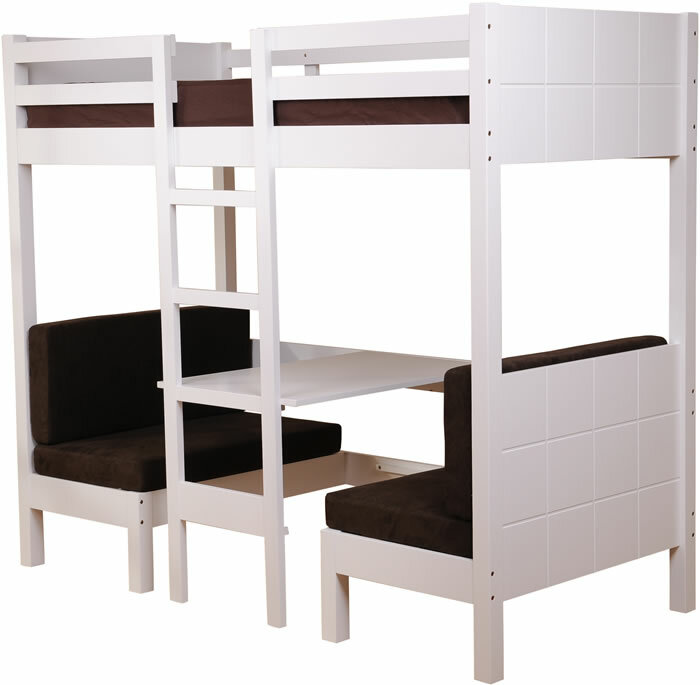 The Sweet Dreams Play high sleeper bed frame in a white finish features under-bed seating and centre table which can be re-positioned to make a single guest bed. Optional seat cushions sets are available and comprise of 4 large fabric covered foam cushions. For occasional guest use the handy centre table can be easily re-positioned to sit flush with the chair seats to form a base for use as a single bed. The cushions are optional and are available in a faux suede brown fabric.